3D Animation is an in-depth and advanced 6 Month 3D Animation Diploma which includes : Work on softwares like Autodesk 3Ds-MAX™ Animation, 3d Character Animation, Adobe After Effects™, Adobe Premiere™, Sound Forge ™ . This course gives you an edge by letting you design and give life to your characters ! Its a combination of 3D Animation, Video Editing, Composting. 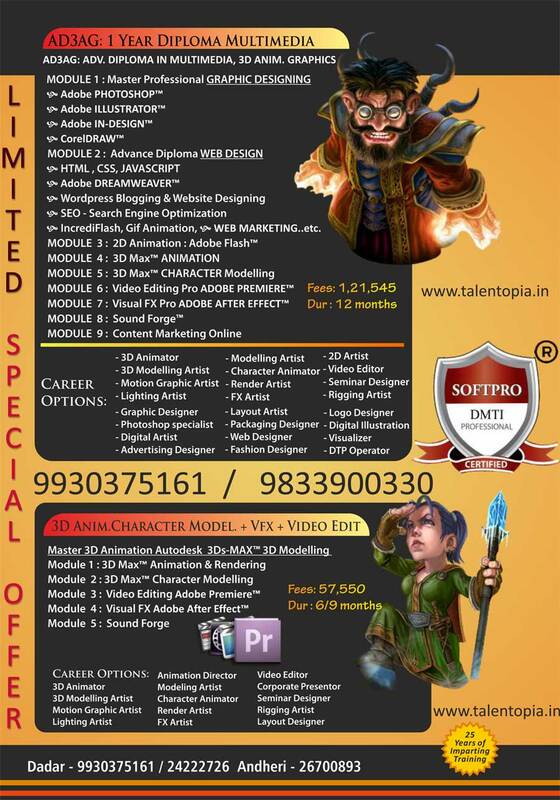 This is course is the right choice for you to make a successful 3d career. This intensive diploma ensures you are well-versed with all aspects of 3D Animation, Special Effects, Video editing, Post production & After Effects. After Effects delivers a comprehensive tools to produce motion graphics & visual effects for film, video, multimedia, web. Control the compositing environment while working in a 2D or 3D with this software. Adobe Premiere covers broadcast and online media. A powerful tool for professional digital Video Editing Designed for video professionals,It’s elegant interface and superb editing tools, you can work with complete efficiency, control, and flexibility to produce broadcast-quality movies. The Sound Editing digital audio production suite includes everything you need to quickly get from raw audio to finished master. Use this suite to create & edit stereo and multi channel audio files with speed & precision. Efficiently analyze, record & edit audio, digitize & restore old recordings Model acoustic Environments, design sound for Multimedia, and master replication-ready CDs. 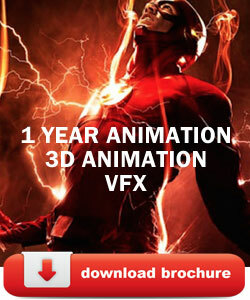 Video Marketing, Facebook Marketing Promote your Videos and 3D Animation online with the world. Learn how to get your creations viral on social media. Learn Content Marketing online tools, Promotions on YouTube, Vimeo and other online platforms.